Do you need warm mittens but have a wool allergy? Here is a wonderful warm pair of mittens made of fleece with a fleece lining! You will be ready when winter comes blowing through! Double fleece will keep your fingers warm this winter! 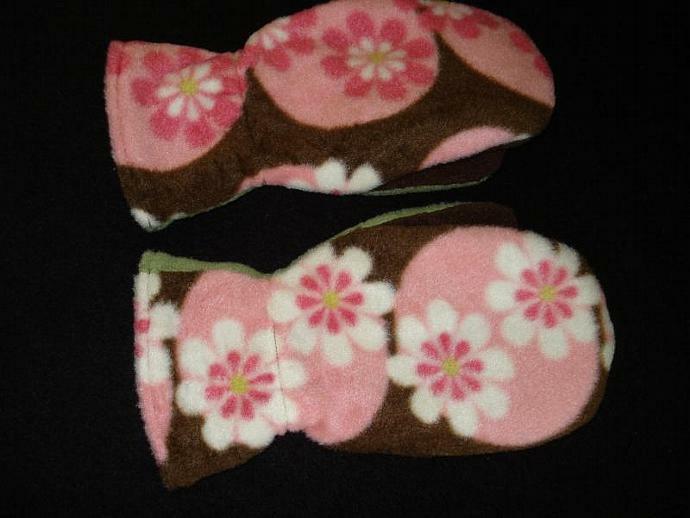 These fleece mittens have a cute floral design in pinks and white with a green center on a Pink circle and brown back ground. Palms are brown fleece with a green fleece thumb section. They are fully lined in brown fleece for extra warmth!